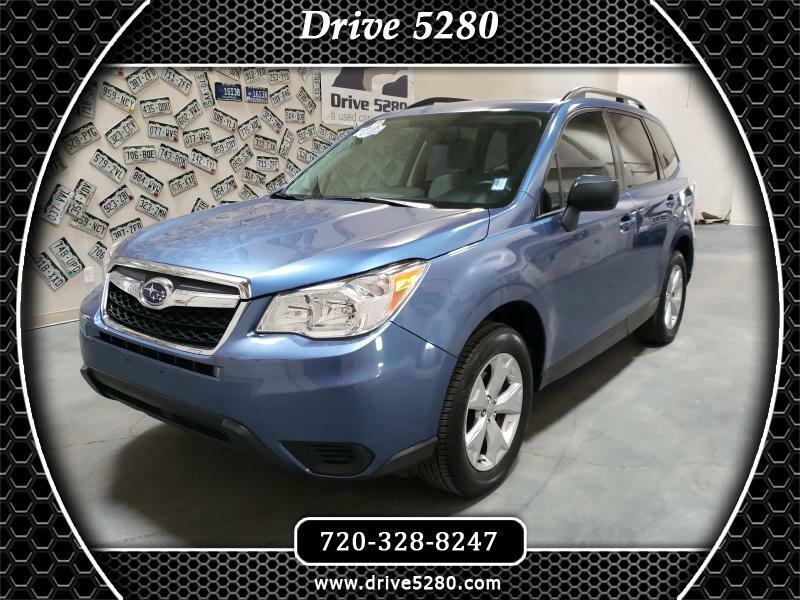 This 2016 Subaru Forester come with Subaru's powerful all wheel symmetrical drive, second to none! Power package plus, Premium AM/FM CD AUX W/Pandora Radio and the ability to stream all your tunes or podcast's. Keyless entry, back up camera and so much more.Plus it also comes with the Drive 5280 exclusive 5-month, 5,280 mile warranty at no charge. Visit Drive 5280 online at www.drive5280.com to see more pictures of this vehicle or call us at 720-328-8247 today to schedule your test drive.